इस Post का यह मतलब बिलकुल भी नहीं है कि बच्चों को पढ़ना-लिखना नहीं चाहिए और हमेशा फिजूल की बातें करते रहना चाहिए ,बल्कि इस Post का मतलब यह समझाना है कि किताबें ही सब कुछ नहीं होती। पास होने के लिए पढ़ना कोई मुश्किल काम नहीं है ,अगर कोई बच्चा स्कूल जाता है और उसके माता-पिता उसपर थोड़ा भी ध्यान देते है ,तो वह पास तो हो ही जाएगा। लेकिन बात यह है कि बच्चो को सिर्फ पढ़ना ही नहीं है। सीखना यह कि क्या और कैसे क्या होता है? Really it is an interesting and informative article. I Got some good idea by reading this topic. Thanks for sharing your view. Really this information was helpful. I will share this to my social media account. Thanks for sharing. 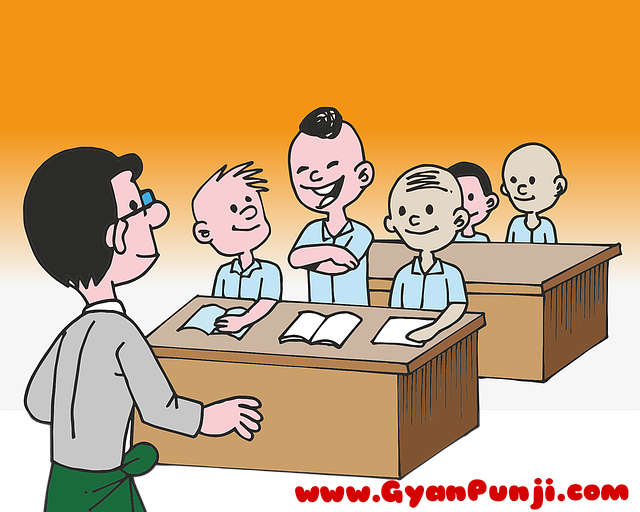 Ha ha ha….accha joke tha aur usko jis tarah se moral batane ke liye prayog kiya gaya….veh bahut accha laga…..me bhi teacher hu to yahan yeh kehna chahunga ki class me bhi bethkar baccha new thoughts seekh sakta hai….aur ped ke niche beth kar bhi….bacche ki baat ko mana bhi jaye to sacchai yeh hai ki school me baccha 5 hours rehta hai aur ghar par 19 hours….to ped ke niche uske baithne ke chance jyada hain……vese article bahut accha laga….Dhanyavad!